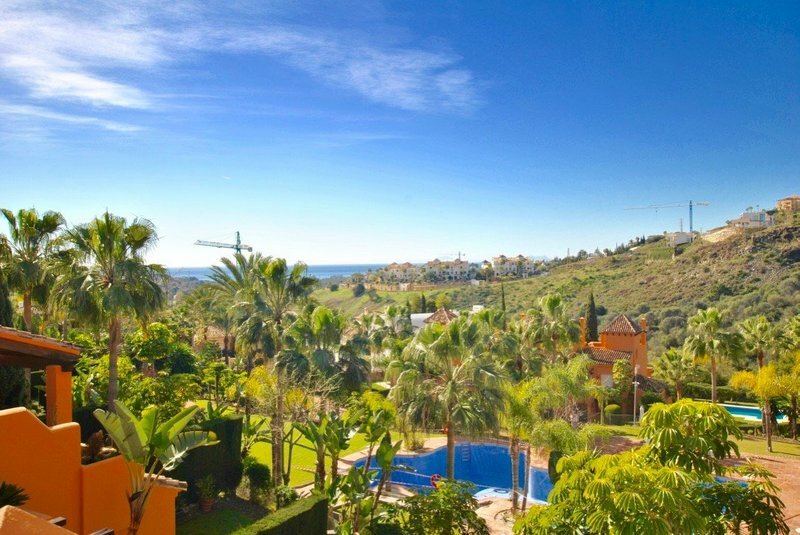 READY TO MOVE INTO AND SUPERB VIEWS! 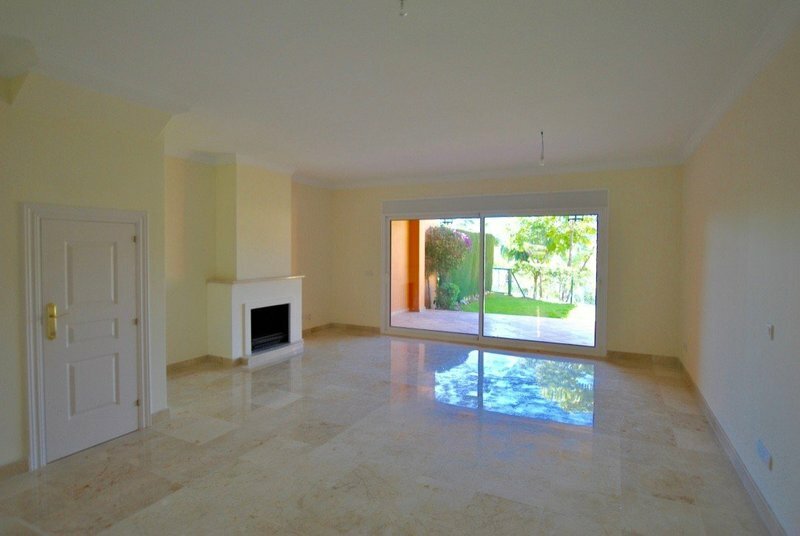 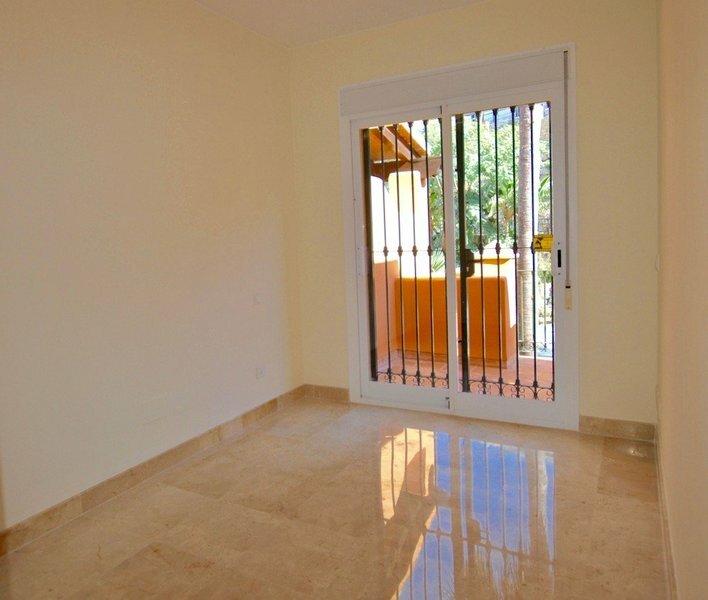 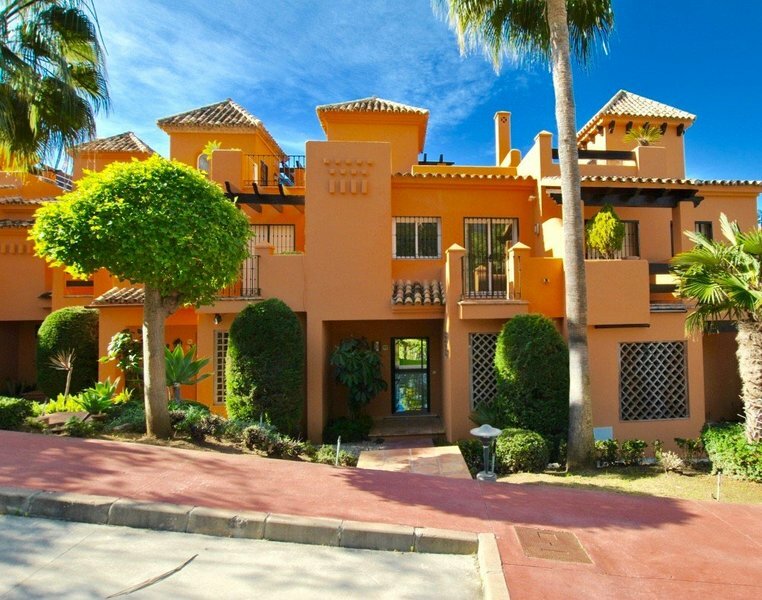 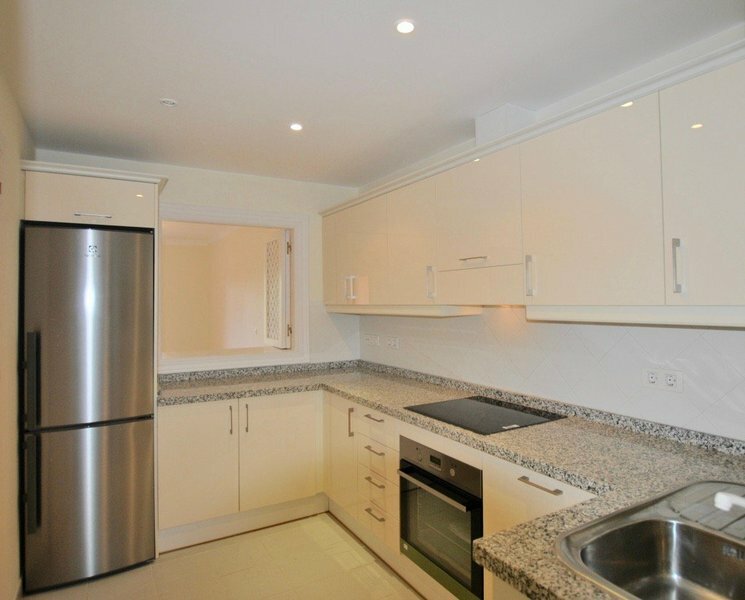 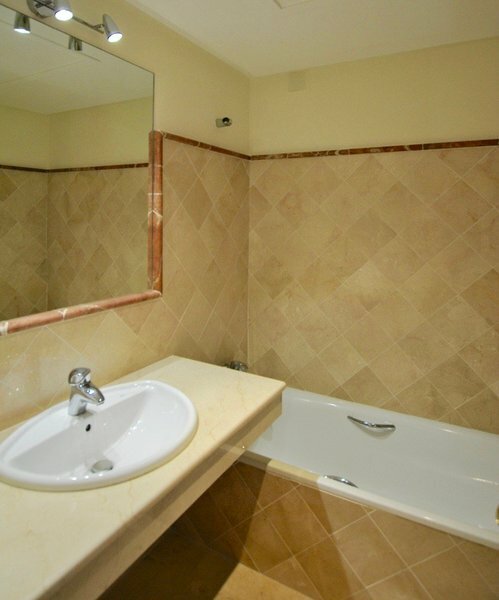 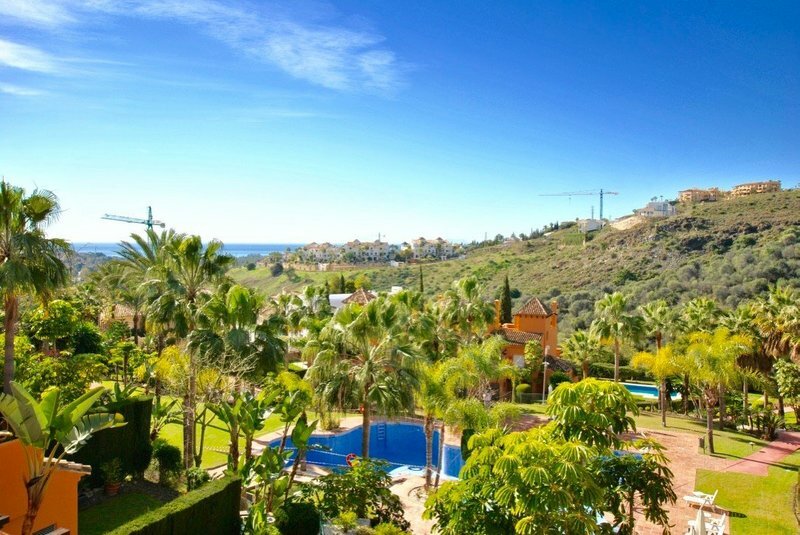 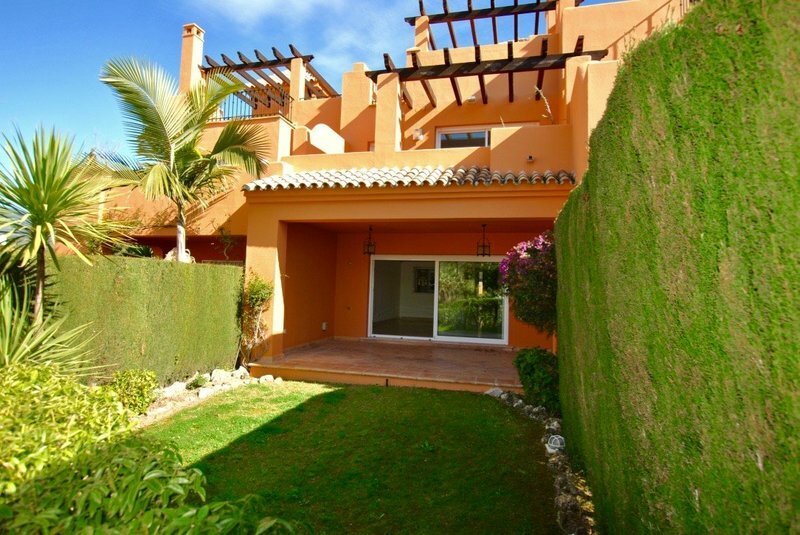 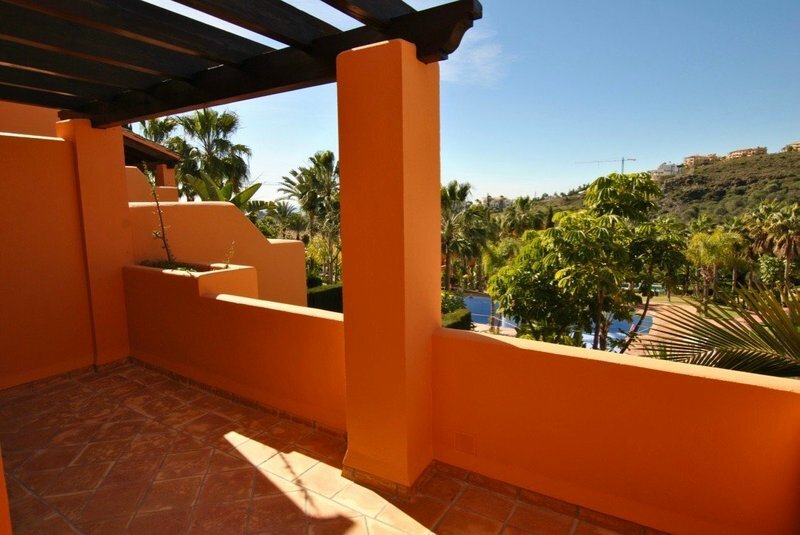 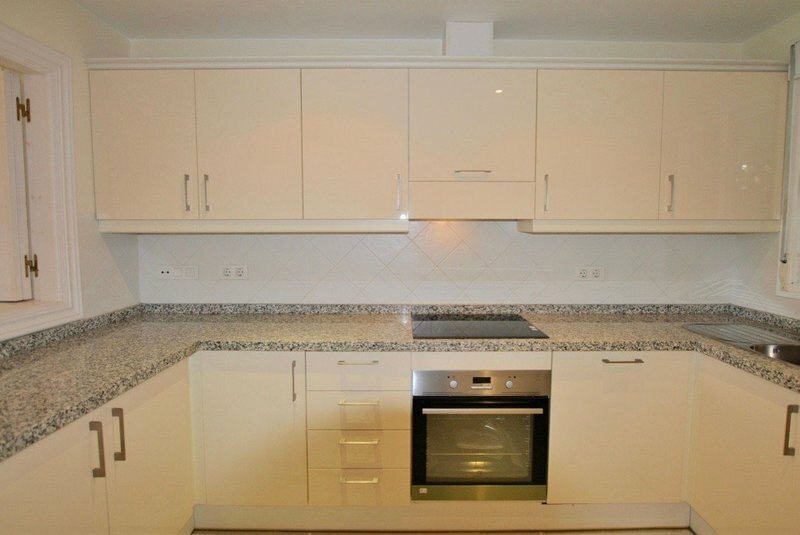 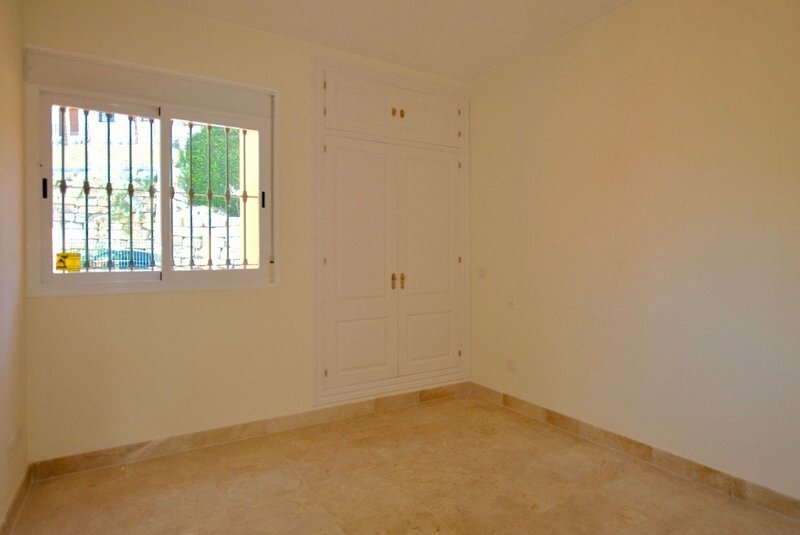 Well kept 3 bed and 3 baths townhouse located in a well established complex with pool and garden areas, close to Atalaya golf course. 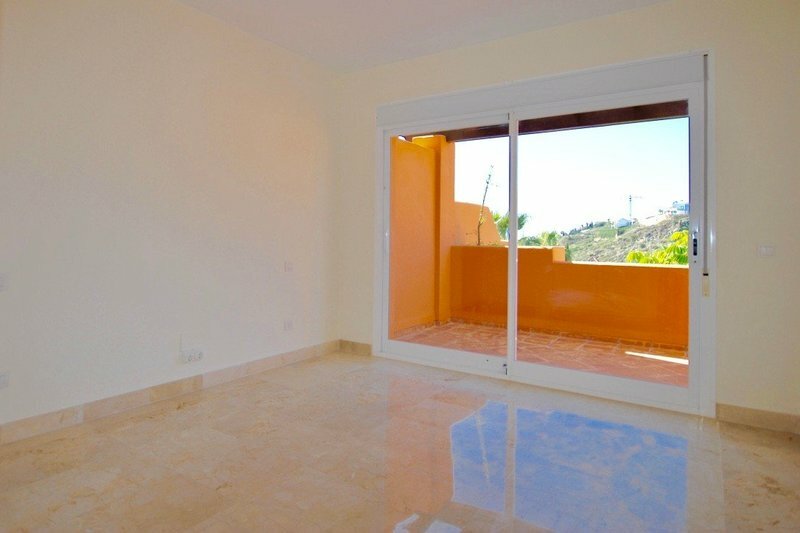 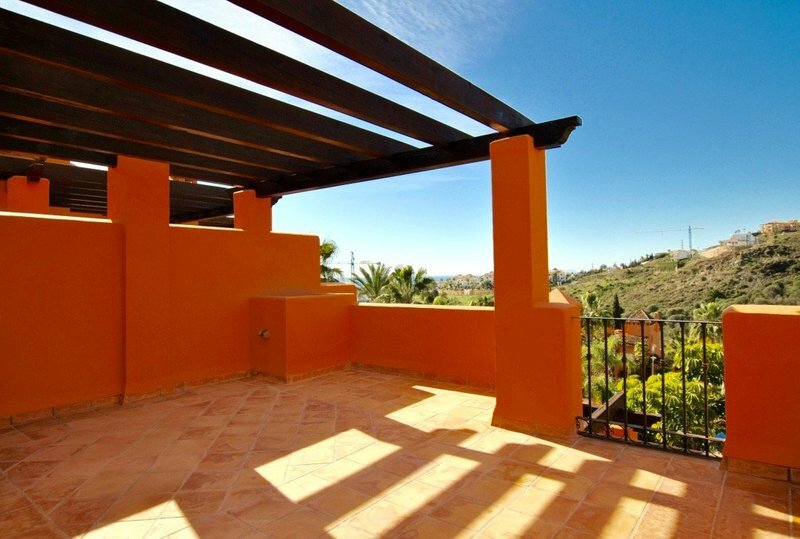 The house benefits from a ground floor, first floor and solarium with amazing views. 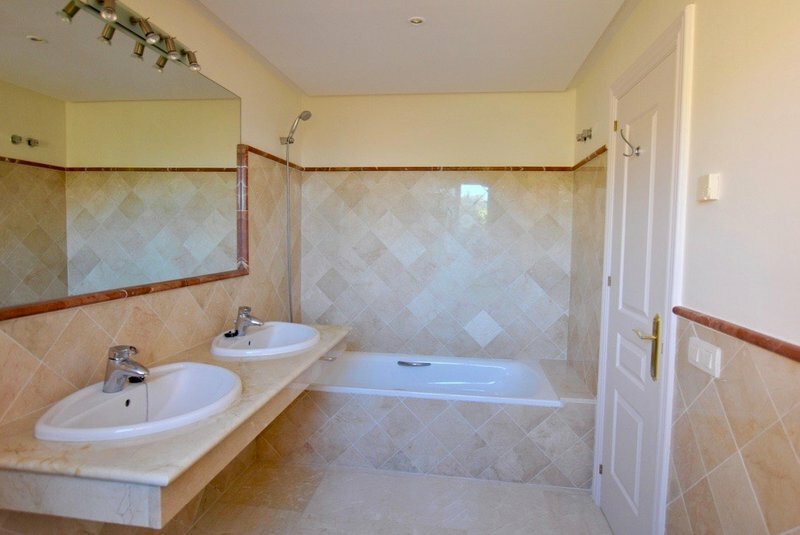 Ground floor comprises of : hall, toilet, kitchen, laundry room and living room with fireplace from which access to the porch and garden. 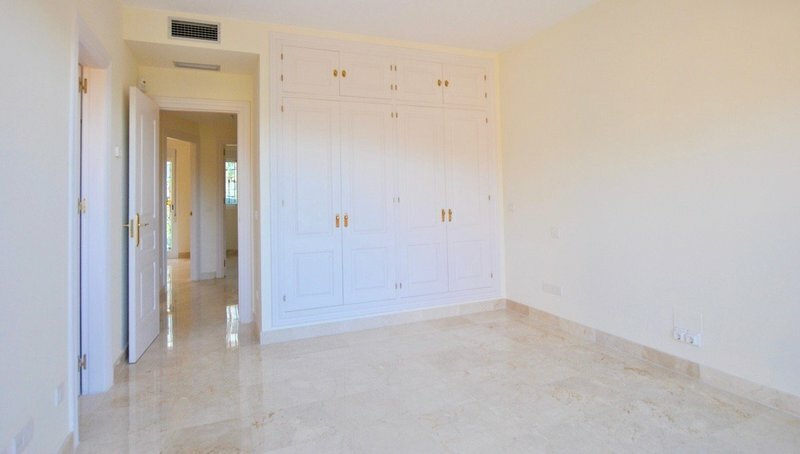 On the first floor there are 3 bedrooms and 2 bathrooms, one of them included in the master bedroom, as well as access stairs to the solarium terrace. 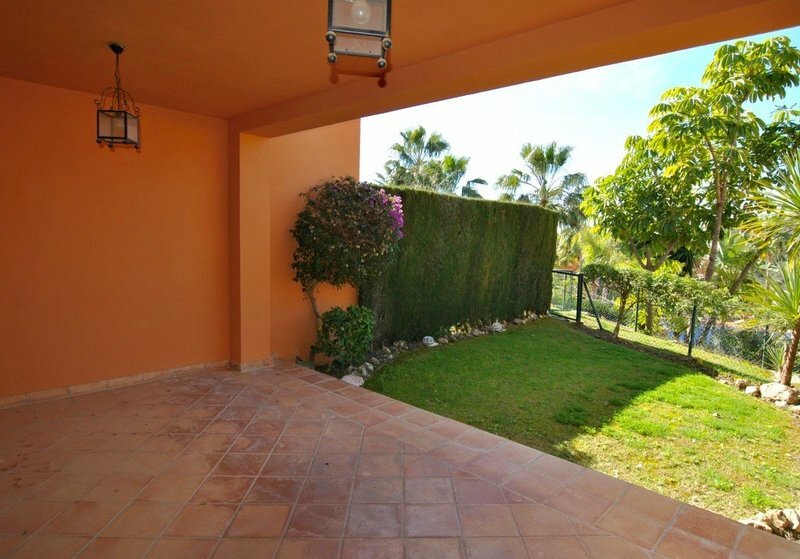 A great ready to move into property , surrounded by Golf Courses with views to die for!